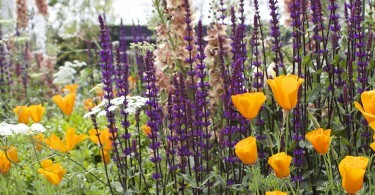 Last Saturday I was sent to Chelsea, to do a bit of work at the RHS Flower Festival. A five hour round trip with a few hours in between being jostled by the masses trying to get a sight of the hottest new lupins on display. Everyone who has ever been to the Chelsea Show on the Saturday gave me the same warning: avoid unnecessary queuing and expense by packing your own lunch. So into my rucksack went a few corned beef and tomato rolls, a vegetable samosa, flask of black coffee and ginger biscuits. And, for the train journey home, beer. What beer to choose? It had to come in a can. 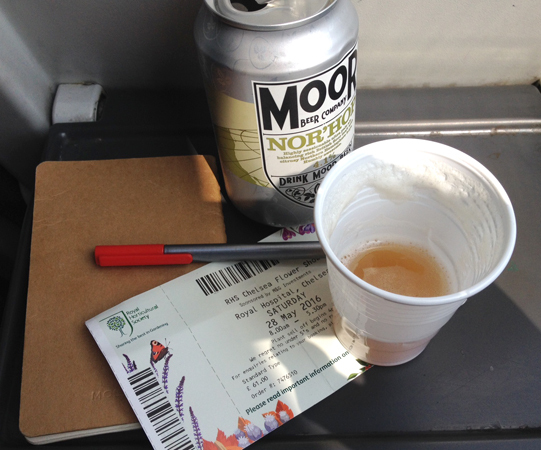 That’s the rule for drinking on trains. * It should also be light and refreshing. Marching around the Chelsea crowds on a fairly hot May day with a rucksack full of food and booze is a little bit sweat-inducing. Not the occasion for a big fat stout. 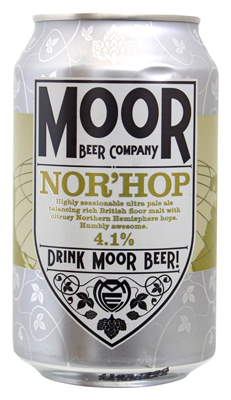 Rummaging around my beer collection my eyes soon alighted on a can of Moor’s Nor’Hop. It’s a Bristol beer, so I’m already familiar with its light and refreshing properties. It’s also full of lovely Northern Hemisphere hops and is packed with flavour. I’ve not had the canned version before. But a canned version makes sense, and should be the perfect choice for my travels back from London to the West Country. Appearance: Very pale (1). Cloudy. Greeny yellow (2). * Crusty White Head (3). Aroma: American tropical hops. Train ride through the Yakima valley (4). Taste: Citrus pith. Botanical pine? (5) Some tropics but quick to bitterness. Dusky scorched earth (6). Mouthfeel: Light and tingly. Refreshing. Thin (good) (7). Light rain on a hot day (8). Finish: Long lasting bitterness. Sticky lemon meringue (9). (1) It doesn’t look ‘very pale’ in the photo below, but it definitely is. (2) And it doesn’t look ‘greeny yellow’ in this photo either, but that might be the visual overload of foliage giving me green tinted views of everything. (3) Evidence of ‘crusty white head’ still lingering on plastic white cup. (4) The Yakima Valley is where most of America’s tropically flavoured hops are grown. I don’t know if a train runs through it but, if it did, this beer is how I imagine the journey would smell. 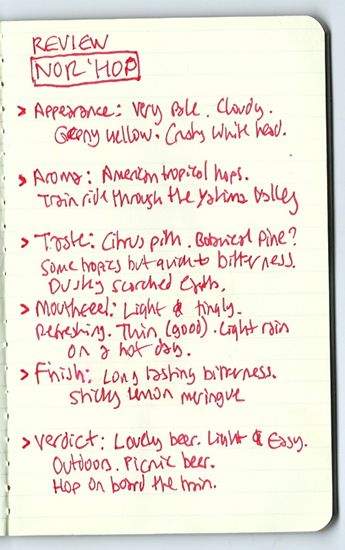 (5) First example of me trying to shoehorn Chelsea reference into tasting notes (there were lots of pines on display this year). (6) Second example of me trying to shoehorn Chelsea reference into tasting notes (arid landscapes were very much this year’s garden design trend). I admit, this may not be the best ever tasting note. (7) ‘Thin’ is often used as a negative within beer descriptions. It would be a bad thing for a booze-laden milk stout, but can be a good thing for a refreshing pale ale. (8) Emphasis of thinness being refreshingly good. We all understand what I mean here. Don’t we? 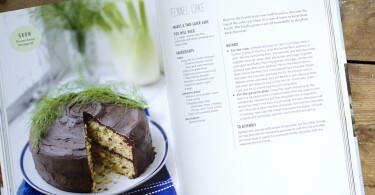 (9) I was left with a nice sticky feeling on my lips, and the overriding taste experience was bitter lemon. The thought of meringues popped into my head. *Unlike the Exeter rugby fans on the outbound train who brought a sack full of Budweiser bottles and got through three each for breakfast before I changed trains. RHS Chelsea Flower Show 2016: get the look!